The alternative is a Lusaka-based transit centre is run by IDC member Action Africa Help Zambia (AAHZ), an implementing partner of the UNHCR. Refugees are housed at the centre pending relocation or resettlement, or while their asylum applications are being processed by the UNHCR. 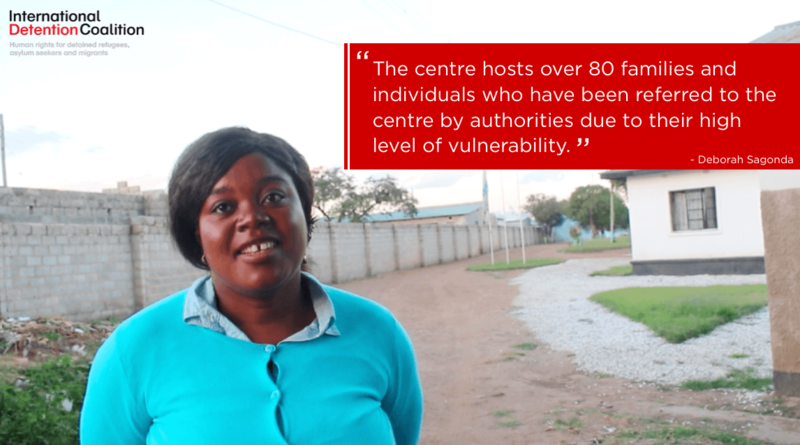 These identification, decision-making and referral processes are part of an established National Referral Mechanism (NRM) that has been rolled out across Zambia. 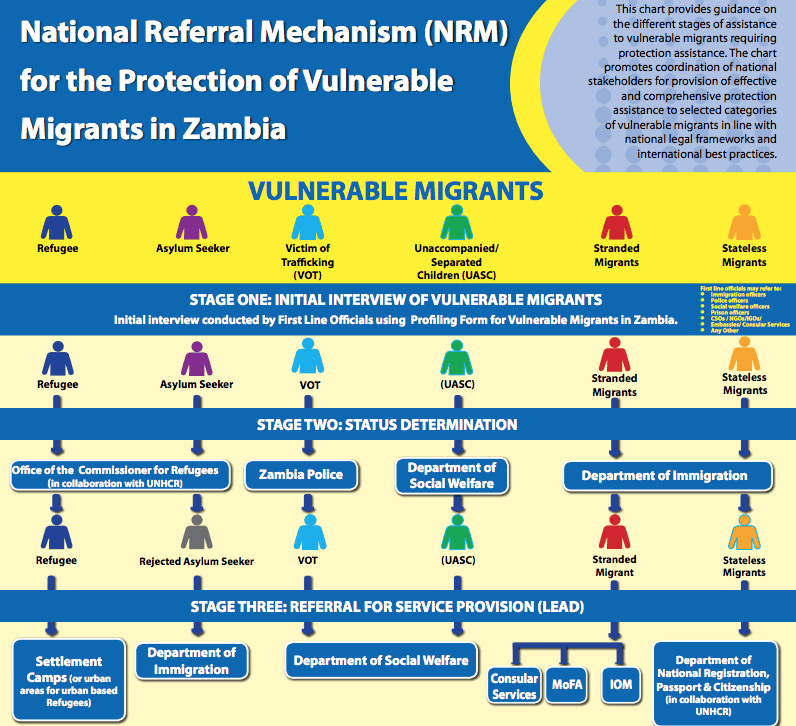 All categories of migrants are referred to the appropriate authorities and services under the NRM chart and associated Guidelines . 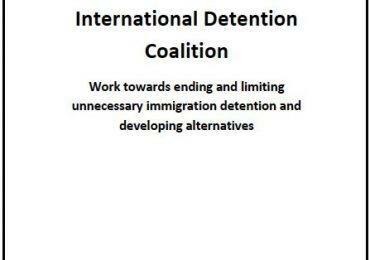 The IDC defines an alternative to detention as any law, policy or practice by which persons are not detained for reasons relating to their migration status. The NRM in Zambia is an example of a successful alternative to detention. The NRM was developed to provide guidance on the different stages of assistance to vulnerable migrants. It was implemented in 2014 by the government of Zambia in collaboration with IOM, UNHCR and the United Nations Children’s Fund. The NRM process begins with an initial interview and registration of migrants by front-line officers to determine the case-type, recognise vulnerabilities and needs, and possible referral options. It also promotes coordination of national stakeholders for provision of protection in line with national legal frameworks and international best practices. The governments of Botswana, Malawi and Mozambique are in the process of developing and implementing their country-specific NRMs. The NRM is one of many successful processes that work towards building systems that do not use harmful, expensive and damaging immigration detention. The use of the NRM, Action Africa Help Zambia (AAHZ)’s work and other case studies of alternatives to detention are described in the IDC’s new report: “There are alternatives: Africa”. The report is the second in a series collating examples of systems in Africa that avoid the use of immigration detention. The latest report contains new descriptions of alternatives to detention currently operating in over 30 African countries. The report will be launched on 26th April 2018 at the African Commission for Human and Peoples Rights (ACHPR)’s 62nd Ordinary Session in Nouakchott, Mauritania. 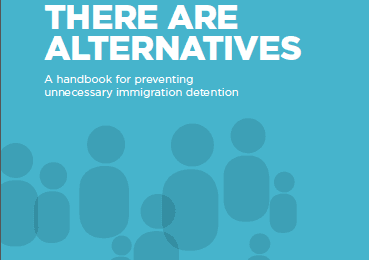 It complements the exiting handbook to prevent unnecessary immigration detention – There Are Alternatives. The first publication detailing legislation, policies and practices related to immigration detention in six countries: Egypt, Kenya, Libya, South Africa, Tanzania and Zambia is available to download here: “Alternatives to Immigration Detention in Africa, 2015-2016”.